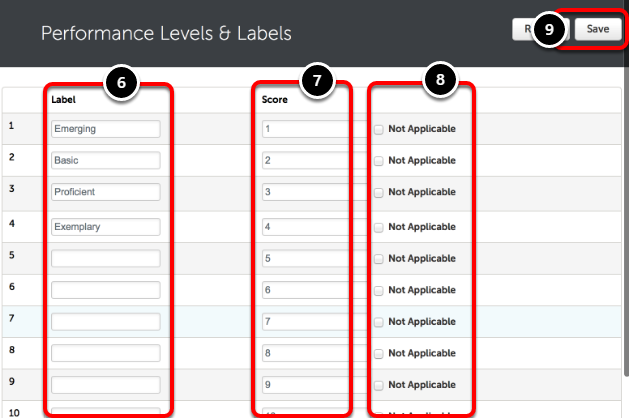 Default performance levels are recommended to be used across all Assessment Instruments within an institution's Chalk & Wire site. 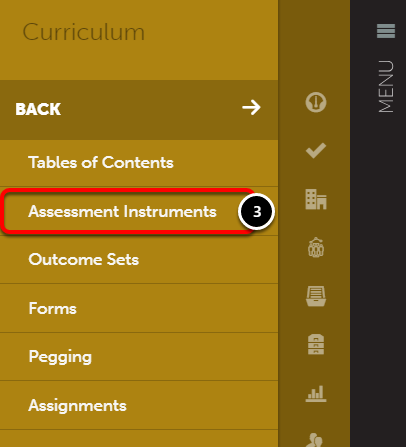 Assessment Instruments that contain a number of performance levels that differ from the default cannot be included in reports that use the default scale. Their inclusion in assessment results would introduce a threat to the validity of the system. 4. 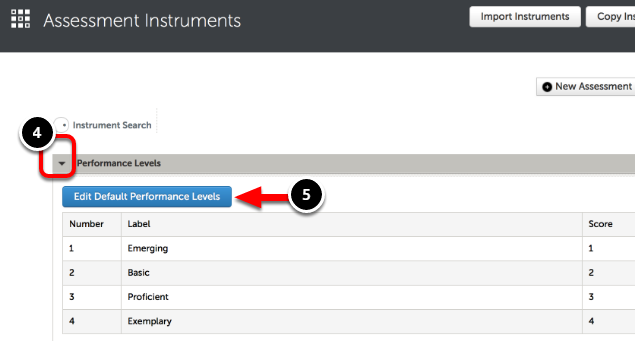 Click on the arrow next to Performance Levels to drop-down the current Performance Levels. 5. Click Edit Default Performance Levels. 6. Edit/Delete/Add Labels for the Performance Levels. 7. Edit/Delete/Add Scores for the Performance Levels. 8. 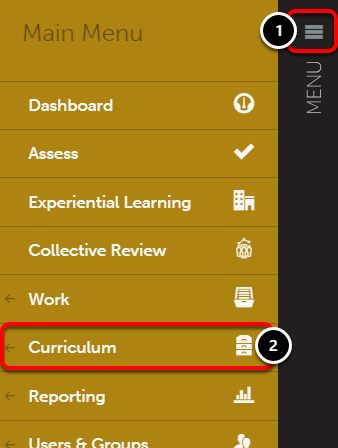 Optionally select for a level to be Not Applicable. 9. Click Save to save the new Default Performance Levels.